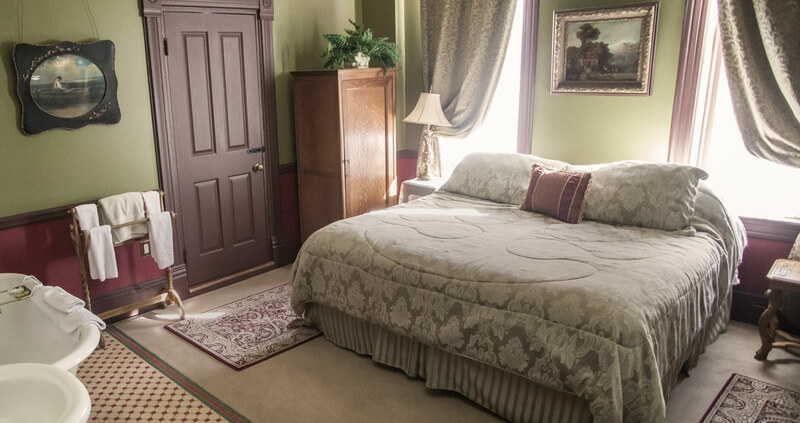 The Deadwood House is a cozy bed and breakfast located in the Presidential District, just a few blocks from Downtown Deadwood. This completely remodeled 1903 Victorian has 7 bedrooms/6 bathrooms, a living room, dining room, 2 large porches, commercial kitchen main level/2nd kitchen downstairs, two fireplaces, 2 washer & dryer sets, wireless internet and a business workstation. Unattached carriage for your toys, 3-car driveway. There are 3 additional roll-aways on site. Need something special? Don’t hesitate to ask. We aim to make sure your visit is a memorable time! Mount Rushmore – 43 mile. Take the back road… it’s gorgeous! Downtown Deadwood – Casinos, dining, the famous Saloon #10, Deadwood Mountain Grand, and much more. Just a 5-minute walk away. Adams House Museum – A Deadwood must… 2-minute walk. Mickelson Trail – Run. Walk. Bike. You gotta check it out! 3- minute walk. Email us at thedeadwoodhouse@gmail.com or call us at (480)466-3977.